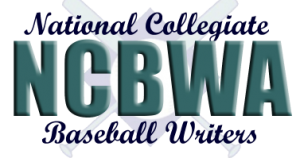 The National Collegiate Baseball Writers Association has released its NCAA Division II 2019 National/Regional preseason polls and preseason All-Region Teams which list several HBCU Baseball teams and players. Miles College baseball program is being recognized by the NCBWA South Region Rank No. 10. Miles finished the 2018 season 32-19, returns a core of its nine starters with impact players and several big bats. Also receiving votes is Albany State University the defending HBCU Baseball small school national champion finished last season 28-18 return some key players that ranked among the nation’s top offensive categories. Four HBCU player made the 2019 Preseason All-Region Teams. From the South Region. Each year the NCBWA picks the top teams and individual talent from the NCAA Division I and Division II for the upcoming season. To review the list click here.